Iovine sat down with Billboard to clear the air over recent reports —one from Rolling Stone in particular —that forward a narrative in which tech companies bring on record execs to foster partnerships with music industry elite. This so-called "liaison narrative" is an oversimplification of Iovine's work, which started when the former music executive co-founded Beats with Dr. Dre. Iovine said he realized streaming services facilitated by tech companies would become the future of music distribution after meeting with late Apple co-founder Steve Jobs and Eddy Cue in 2003. At the time, Iovine knew little about the world of technology, so he set out to learn what he could before starting Beats. Apple purchased Beats in 2014 for $3 billion, bringing Iovine, Dr. Dre and their team into the fold. Beats owes its success in large part to a team fluent in the "languages" of tech and pop culture. 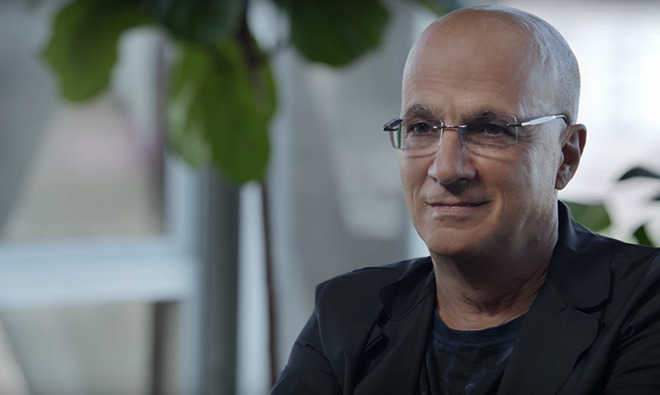 Iovine brought on the likes of Luke Wood, Larry Jackson, Robert Kondrk and Trent Reznor, the latter of whom is credited with leading the design and engineering of Apple Music's new user interface. "Then Apple brought over 250 people from popular culture, from the media business —not one, 250 people. Right? So that's why all of this is missing the point: it took 10 years to develop this team," Iovine said. Looking ahead, Iovine dropped a hint that Apple is working on a "hybrid" music product that will meld and build on the ideas that made Beats a success. Most importantly, the as-yet-unannounced project will marry pop culture and technology in a meaningful way only the Apple Music team can realize. "And what we're going to do, what we're doing now that hasn't been revealed yet, is we're building the right hybrid," he said. "And we believe it's the right hybrid, and the combination of these things together, we'll build a music service that is technologically and culturally adept." Shades of the "technologically and culturally adept" projects can already be seen in Apple's original content collaborations with top artists. From the beginning, Apple Music has experimented with original content, mostly through in-house produced music videos. The most recent effort, Drake's 23-minute short film "Please Forgive Me," debuted last month as an Apple Music exclusive. With Apple Music positioning itself ever closer to music makers in a bid to nab exclusives, like September's controversial double release from Frank Ocean, some pundits believe Apple is quickly entering the record business. When asked whether he is working toward a future where there is no clear delineation between the tech and music industries, Iovine dismissed the idea. "We are an adjunct to labels and artists," he said. "We are building something that can help labels and artists and undiscovered artists. Yeah, it's a popular culture company, but it's also a tool. And that's what we're building. [...] For some reason, this has to be the case for it to really work. That's why there are so many people out there in media companies that don't understand; they work on the digital side of the record companies, but they don't understand the language of the world of technology companies, what it's like to be in a technology company and how they perceive things."